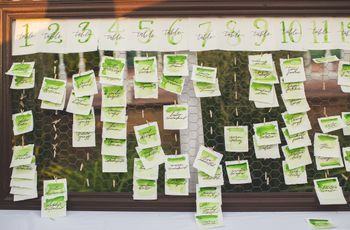 There are a few details you should remember to make the whole wedding-attending experience awesome for both you and your hosts. So, you’ve been invited to a wedding. You’re probably thrilled for the couple and ready to get your party on, right? While you’re choosing your outfit and wondering what the signature cocktail will be, there are a few other details you should remember to make the whole wedding-attending experience awesome for both you and your hosts (brides and grooms, be sure to forward this article to your friends and family members!). Here are some tips to help you become the perfect wedding guest. Got a question? Check out the wedding website before picking up the phone. Lost your invitation? Not sure which hotel to book? Want to know where the couple is registered? 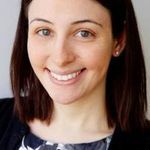 There’s a good chance your question can be answered with a quick read-through of the couple’s wedding website, rather than a phone call to the potentially overwhelmed nearly-weds. The people named on the envelope of your invitation are the ones who are invited. Don’t ask for exceptions. 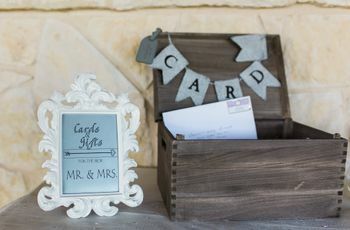 Send larger gifts via mail before or after the wedding rather than bringing them to the wedding. The couple and their families will likely have a lot of things to transport post-wedding. Sending your registry gift in advance or after the wedding will make things a lot easier for them – but bringing cards and monetary gifts to the event is OK.
Book your travel as far in advance as possible. Hotels and flights fill up quickly. And you certainly don’t want to pay a bundle for your flight or be the only guest staying at a hotel many miles away. If the couple has reserved room blocks for guests, make sure you’re aware of the cut-off date. If you don’t RSVP on time, the couple will be a little miffed. Even if they pretend not to be. “No, it’s totally cool, get back to us whenever,” is probably a fib. Getting an accurate headcount is important for a variety of reasons, so as soon as you receive the invitation, send in that RSVP card so you don’t let it sit and forget. Consider the dress code, time of day, and season when selecting your outfit. Of course, if the invitation has a dress code, do your best to follow it, but also consider the weather – bring a shawl or jacket during colder months, and dress in breathable fabrics when it’s warm. Many weddings are held outdoors even when the weather isn’t 100% ideal, so be sure to dress with that in mind. The newlyweds are happy to see you – but give them some space. At most weddings, the ceremony comes first and then it’s time to eat! Depending on how long the ceremony is, you may start to get a bit hungry, so have a small snack before (not during!) the ceremony. Be on time for the shuttle bus. They probably won’t do a head count. It’s a very nice gesture for a couple to arrange guest transportation, so do them a favor and be on time for departure – or better yet, be early! If you’re late, you may not only hold things up and make a larger group of guests late as well, but there’s a possibility the shuttle will leave without you. Something unplanned may occur – just go with the flow. 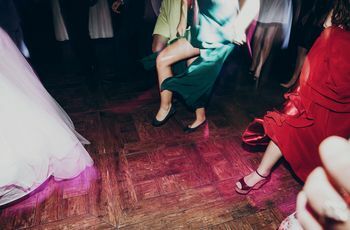 Unexpected things happen during a wedding – the groom’s mom could faint, the flower girl could throw a tantrum as she flails down the aisle, the fire alarm could go off. Whatever happens, just keep a straight face and remain calm. Seeing your relaxed presence in the crowd may help the couple relax, too. Pay attention to any announcements. Yes, it’s fun to socialize at weddings, but keep an ear open for the officiant and emcee. If you’re asked to stand when the bride enters the ceremony, stand up. If the father-of-the-bride is giving a toast, be quiet and listen. If dinner is being served, go back to your table. There are only a few rules at a wedding, so be sure to follow them! If you’re at the wedding of a close friend or family member and you know everyone, that’s great! If not, be friendly, and make conversation with those at your table, as well as the other guests. If you’re able, say hello and thank the couples’ parents, too. If you take photos, share ‘em. Don’t go too overboard with the photo-snapping (especially during the ceremony), but if you do get some good photos, share them via an app like WedSocial or by using the couple’s hashtag on social media. Have fun…but don’t overdo it. 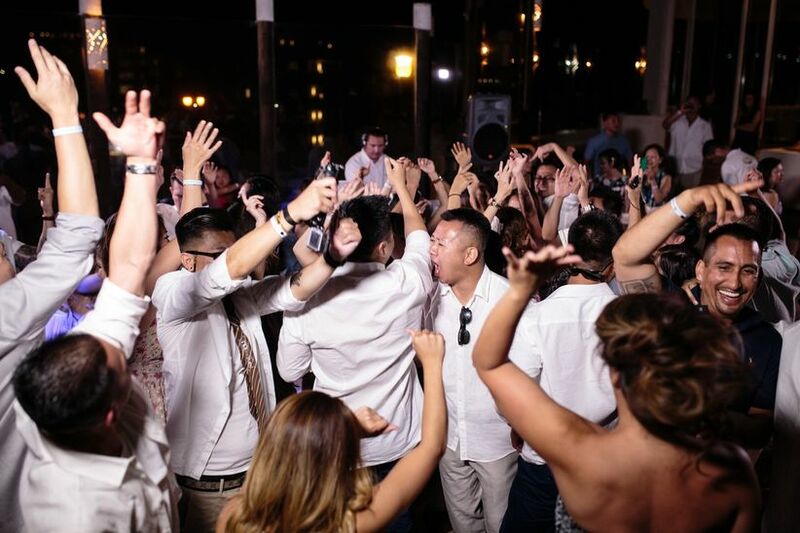 The wedding reception is all about celebrating and having a blast, but don’t be that person who has a little too much fun, if you know what we’re saying. 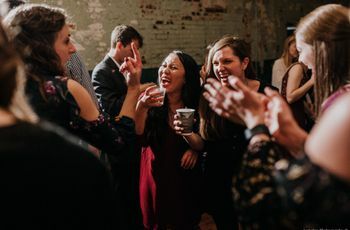 You want to be a memorable wedding guest for all the right reasons.